Spring has finally arrived! This season is a wonderful time of year. The weather becomes warmer and the sun is out longer each day. You are finally able to shed your multiple layers and smell the flowers that are blooming. However, springtime is also a very rainy time of year. Spring showers work wonders to create new life in the plants that grow around us, but they also can cause mold in your home. Just thinking about mold growth will scare any homeowner. Here are some ways to prevent mold in your home. Why Should Mold Concern You and How Does it Grow? Mold can cause a ton of harm to your home such as structural damage and even health problems for the people who live there. It grows when there are high levels of moisture in your home. The indoor humidity level can easily become affected by the outdoor environment, so the moist springtime should signal an increased warning for keeping moisture in check. HVAC systems can actually balance the moisture and humidity levels inside of your home, which ultimately prevents mold growth. By using your ventilation system, you can move moisture out of your home. It is important to install exhaust fans in rooms with especially high moisture such as the bathroom or a kitchen. These fans prevent moisture buildup, which then prevents mold growth. Other ways to prevent mold are to install a whole home dehumidifier. This keeps moisture balanced throughout the entire housing structure. It removes any increased humidity and keeps the levels balanced. Lastly, boosting the airflow throughout your house will also prevent moisture from staying and building up in one spot. Life is crazy. 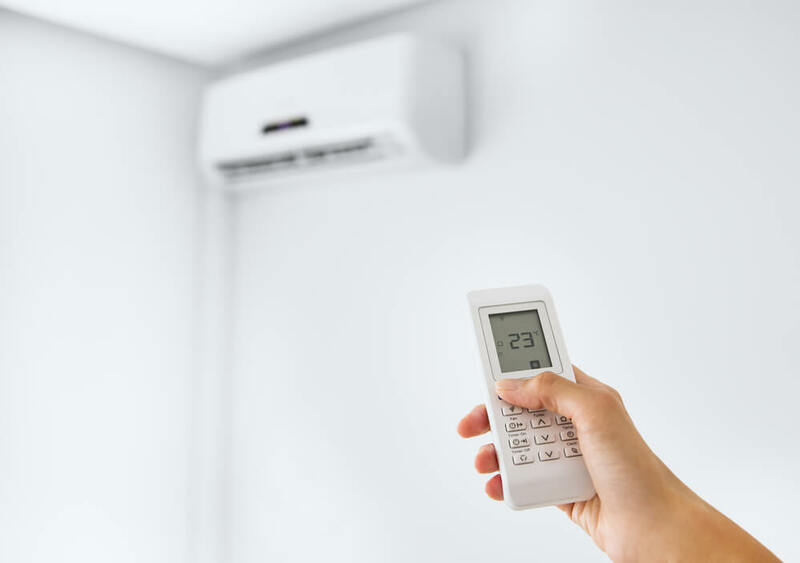 We don’t all have time to go to every HVAC unit in our homes and balance our humidity and moisture levels. Therefore, hiring a company that is highly trained to prevent mold growth is a great option for mold prevention during the months with increased moisture. Trained employees can easily spot potential or current mold-causing issues, and they can perform repairs and or offer suggestions on how to fix any issues. It is well worth your time and energy to have a mold checkup than to try to remove mold when it is too late. Are You Ready to Invest in a Company to Prevent Mold Growth in Your Home? If you are ready to invest in a reliable company that trains employees on the best techniques for mold prevention, companies such as Climate Control are a great option. Preventing mold growth will save you a significant amount of money in the long run. It is much easier to prevent mold than to completely redo your home structure in order to get rid of it. Companies such as Climate Control offer reliable services and are available to help you. Certified technicians are trained to provide professional and excellent services that prevent mold growth in your home. If you are interested in hiring a Climate Control employee, feel free to checkout their website or contact them directly at 859-469-4182. Don’t wait until it’s too late to prevent mold growth, invest in your home’s safety today!